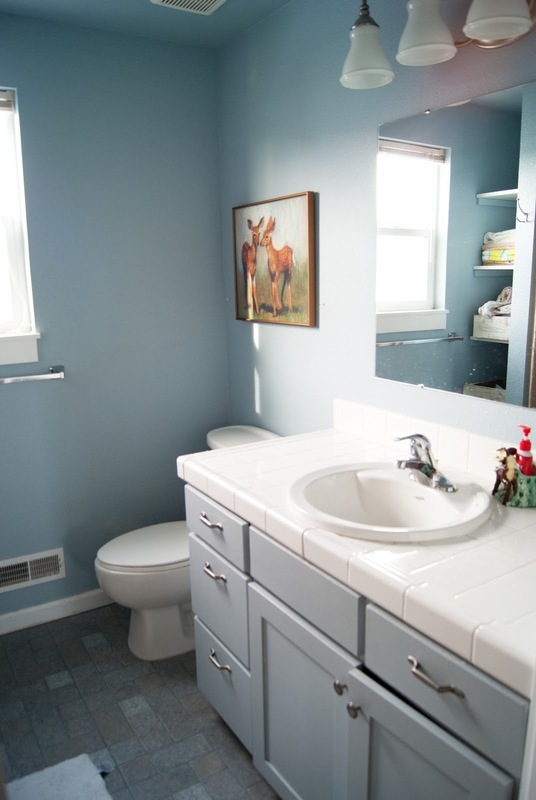 Are you ready for another installment of #projectkidsbathroom? I'm sure you have been on pins and needles all weekend! Ha ha, well maybe not, but I sure have. I feel like my whole weekend revolved around lighting. You can see that in the before picture the light was way too big (it literally made it hot up there and was way brighter than necessary.) 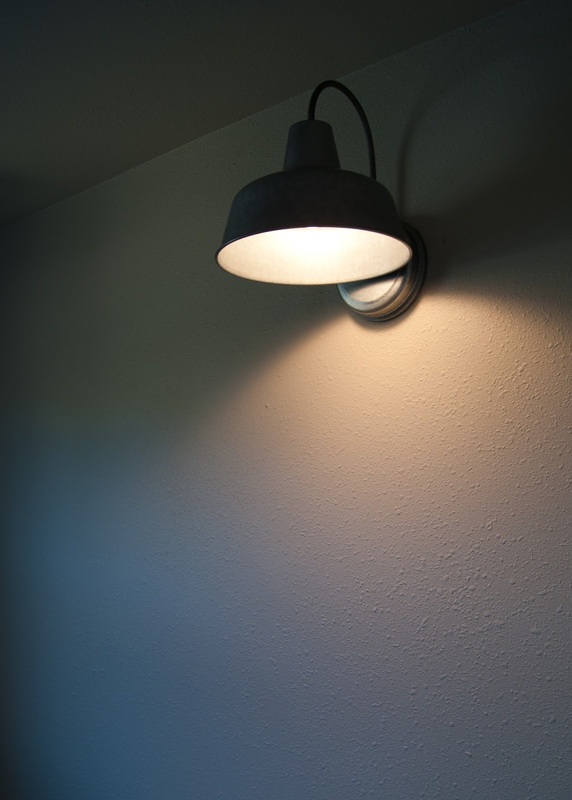 I also really really dislike vanity lights. I don't know why, but they always feel builder grade to me, especially ones with fluted shades. My apologies to all the fluted shade lovers out there, they just aren't my thing. 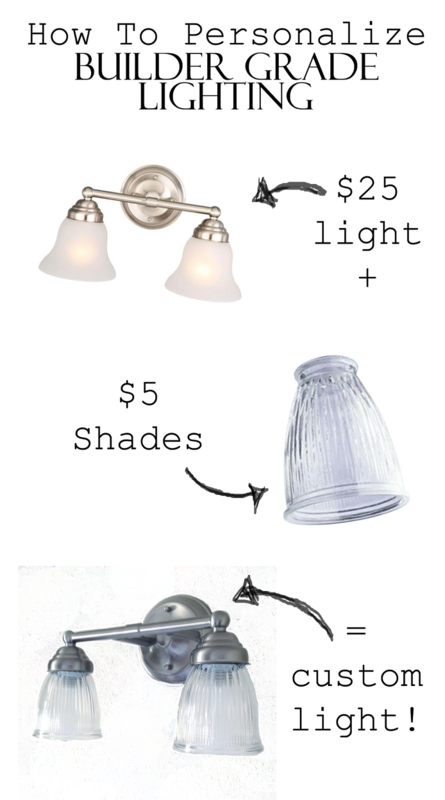 ...so I ran to +Lowe's Home Improvement and +The Home Depot to grab a few options. I even was smitten with a cute lantern style so I threw that in as well. I just knew one was bound to work. 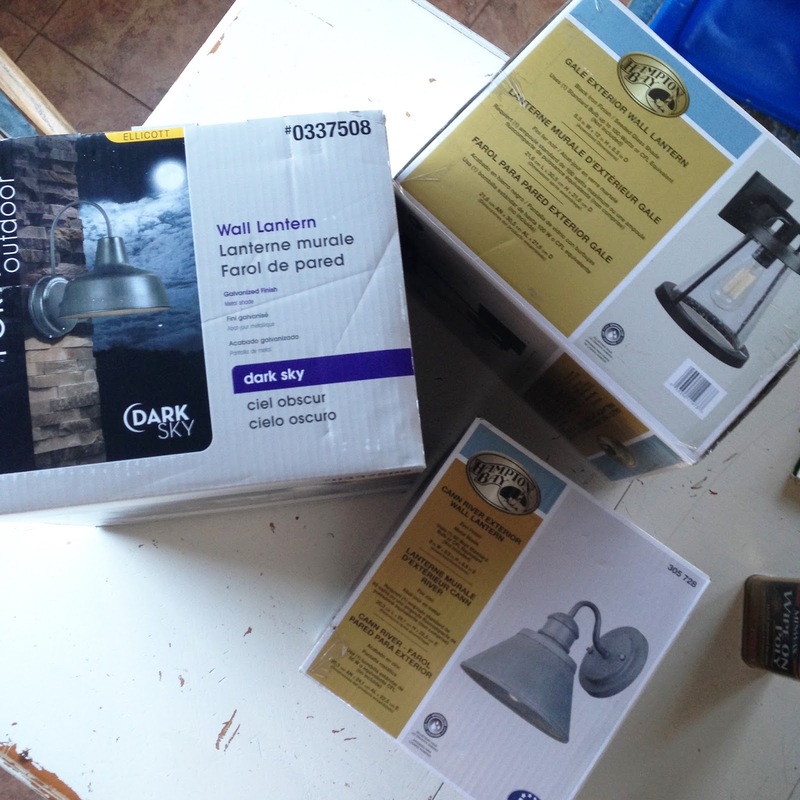 Option A: The lantern and my husband's top choice, ($69 from Home Depot) ended up being way to big. 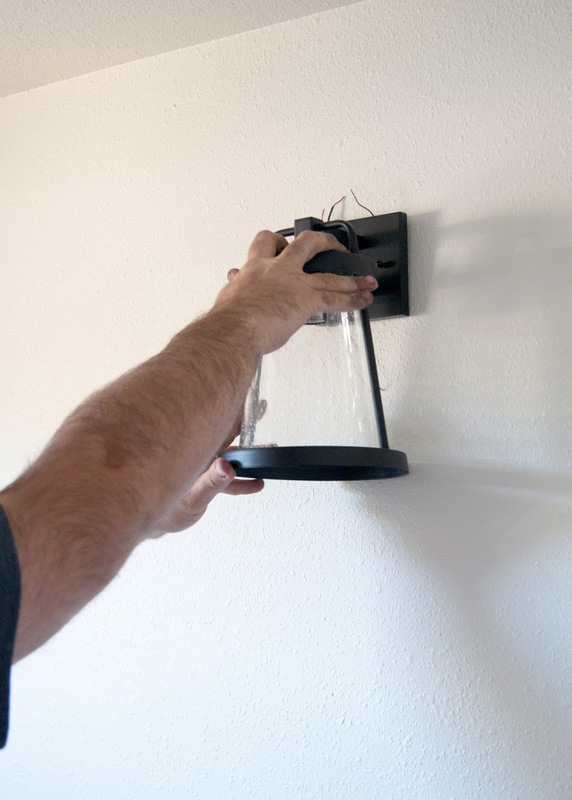 It would've hung in front of the mirror and moving the wiring higher is not an option right now. So it was out. 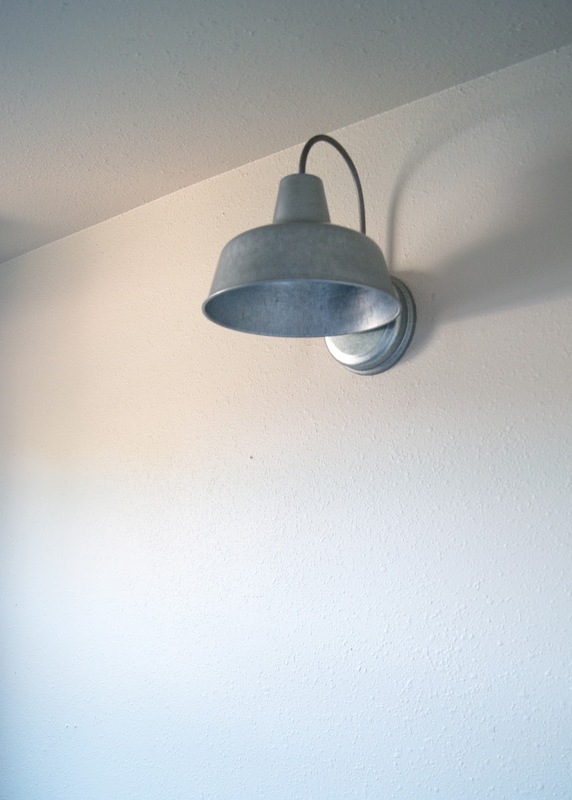 Option B: Barn Light ($39 from Lowes) was my first choice and I LOVED the look! ...believe it or not, I actually like it! It gives a very vintage vibe and dare I say it looks much more expensive than before? Should I have stuck to my guns with the barn light? 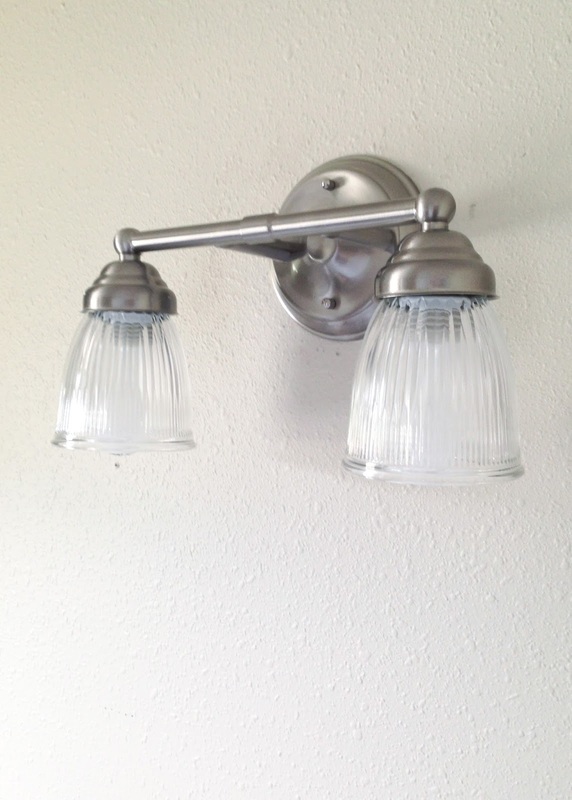 Have you had success using barn style lights in bathrooms? If you want to catch up on the series, follow the links below!